In April 2016, we had an amazing (but exhausting) trip to Disneyland Paris to celebrate my 40th birthday. I’m guessing by the sheer look of horror on some people’s faces when I say we have just been on the Eurostar, and the endless people counting the children as we went on and off, that this doesn’t happen very often! But I can tell you, it wasn’t that bad at all! 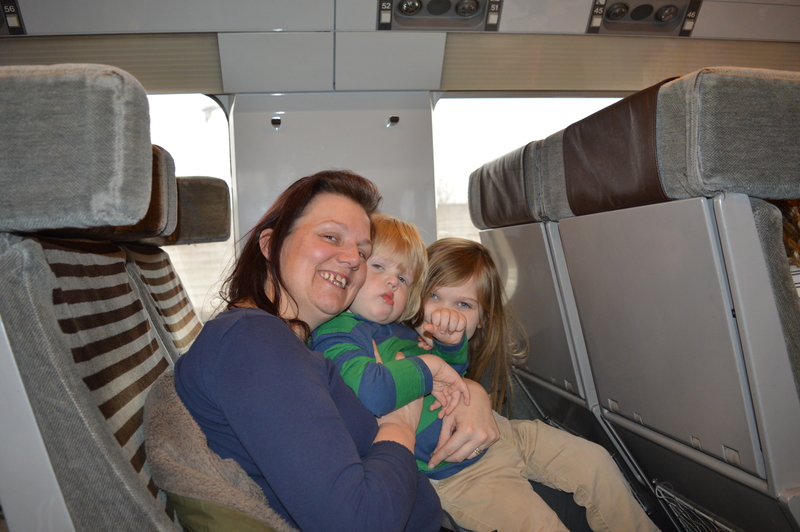 So, here is my guide to travelling with a large family on Eurostar. We travelled from Ebbsfleet on the Eurostar, you can choose to go from St Pancreas, Ebbsfleet or Ashford, but after looking at them all, the journey price wasn’t much different, but the added bonus of Ebbsfleet is the choice of car parking. We chose premium Parking as this is only 1 minute from the actual station, and with seven it was the easiest option. The direct route from Ebbsfleet to Disneyland Paris takes just over two hours, but costs approx £200 per person, as part of our Disney booking ours cost half that price, but it did mean a change at Lille, in hindsight with seven children I would definitely choose the direct train, as it was a little bit stressful getting them all off, moving to another platform and getting them all back on again, especially as we were seated in different carriages! But I guess it depends on finances and your holiday package. By having an indirect train, we arrived at midday and didn’t leave until 6pm on our journey home, so we ended up with nearly five days in the Disney Parks, so the stress probably was worth it! When you receive your Eurostar train tickets they give you a coach number and a seat number, which is fine on the Eurostar out of the UK, however in Lille, the coaches are lettered not numbered, so for anyone wondering where they are seating on a TGV train, check out this fabulous guide to assist you. The best tip I can pass on with passport control is to ensure that any child who is old enough to hold a conversation with the passport control person, let them hold their own passport and hand it in, our journey out took forever to get through control as I had all nine passports and had to match the child to the passport! With nine people we obviously have quite a bit of luggage, (and pushchairs), but the great thing about Eurostar is the amount you can actually take, there is no weight limit, so, as long as you can carry it and put it in the luggage holders, that’s fine. Each adult is allowed two pieces of luggage up to 85cm long and 1 small piece of hand luggage. Each child is allowed 1 piece of luggage (up to 85cm long) and 1 small hand luggage, children under 4 travel free, but do not have a seat or have any luggage entitlement, this worked out fine because Viggo wanted to sit on my lap anyway. Pushchairs and Prams travel for free and are not included in your luggage entitlement. 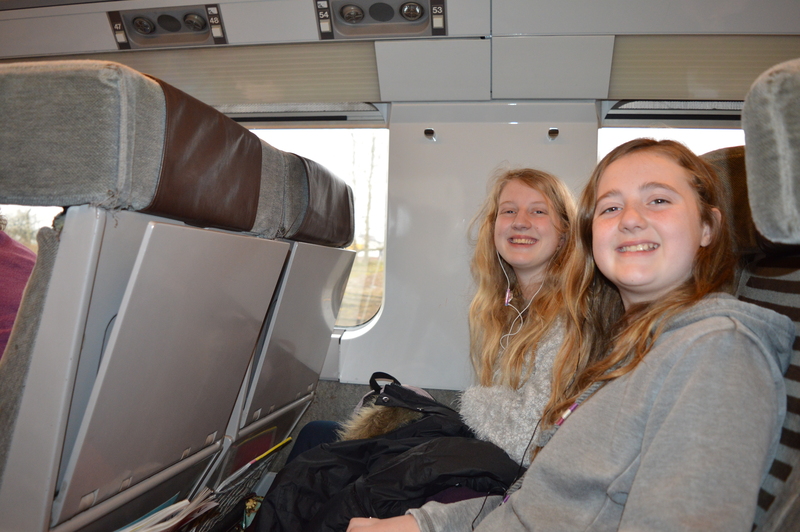 Have you been on Eurostar, have you got any tips ? I haven’t been on Eurostar for years. 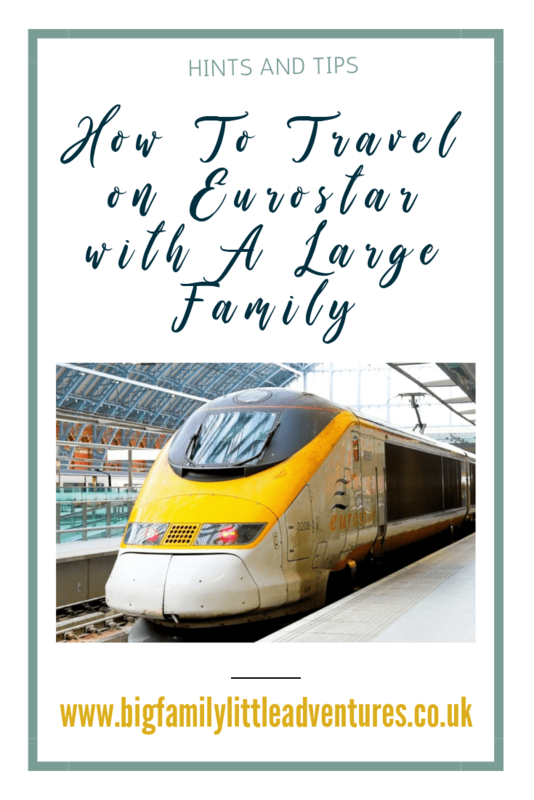 What a helpful post for those with large families, and also for those that have never travelled on Eurostar. I honestly wouldn’t have a clue! I’ve never travelled via Eurostar, but my husband and I intend to this year. Thanks for the advice. OMG with 7 children, I feel stressed thinking of doing it with 3! Wow hats off to you travelling with one child is hard enough but you are handling it like a pro! Thanks for the tips, I’ve never been on the Eurostar but hope to in a year or two with my little daughter for a Disney trip! “The sheer look of horror’ LOL! I just cracked up when I read this!! We are only a family of four, but having taught kids for many years I know how those who AREN’T around kids a lot can panic at the sight of more than 1 per adult at a time. LOL! Traveling by train is such a great way to travel with the kids – especially the littles who are thrilled at not having to be in a carseat!! Being able to snuggle with mom and walk around to stretch legs is the end all be all! I wish we had more trains in the US!! We travel with the kids and love making travel memories like you!